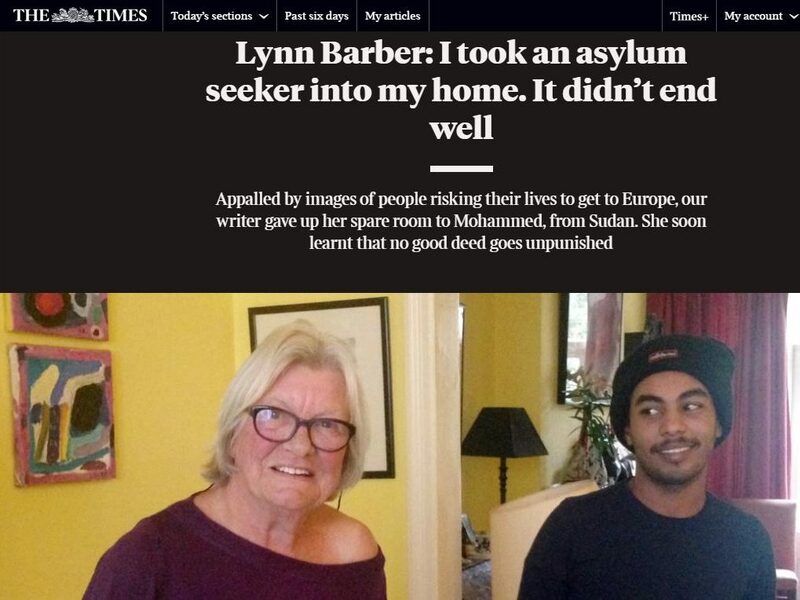 The Sunday Times has hit out at a ruling by press regulator IPSO against an article by writer Lynn Barber about putting up a refugee in her home. The Independent Press Standards Organisation has said Barber’s first-hand account breached refugee Mohammed Ahmed’s privacy because she did not ask for his consent before it was published in the paper’s magazine. In a leader column, the Sunday Times, which is an IPSO member and agrees to abide by the Editor’s Code of Practice, said the ruling – the first significant finding against the newspaper – was a “cruel blow”. It defended Barber’s article as a “a truthful, brilliant piece of writing on immigration and asylum, a subject of exceptional public interest, which riveted our readers and reached 700,000 people online”. IPSO’s Complaints Committee also found that the article had been inaccurate in claiming Ahmed received a £35-a-week asylum-seeker allowance from the government. Said the paper: “In effect, [IPSO’s] ruling forbids writers from telling a story without the approval of their subjects. If this stance were to be repeated, there would be no memoirs or eyewitness accounts in the press. It added: “Ipso’s condemnation after Ahmed complained he was discriminated against is a cruel blow to Barber’s freedom of expression and the press freedom that sustains the quality of The Sunday Times’s journalism. Barber’s feature ran across six pages of the newspaper’s magazine on 28 May, 2017, covered the journalist’s own experience of having Ahmed, a Sudanese asylum-seeker, stay in her house for six months. The story was published a year after the pair had last encountered each other. In it, Barber describes her experience as “a story of two parts, without a happy ending”. She included information about Ahmed, including that he had entered the country under a lorry from Calais and that he was claiming an asylum-seeker allowance of £35 a week from the government. She said he used the local A&E centre more times in six months than she had in her life and that he had asked her if there was a park nearby because he “needed to buy some dope”, believing he had smoked it in her home. Barber also claimed that Ahmed had left pornographic images on her computer after he left her home following a row over a draft of the article, which she sent to him to read before publishing. Barber said she was told the article had “triggered his paranoia”. She claimed he told her: “I am not a refugee… I am a political leader. My family are very rich. We could buy you up like that. Do you want money? Is that why you write this filth? I get you money. Barber said in the piece that she had felt like a “fool” for trusting Ahmed and that his conduct showed that those who thought that he was a “bad lot” and that she had been “insane to trust him” were correct. 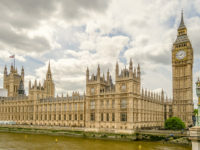 Ahmed complained to the Independent Press Standards Organisation that the article breached clauses one (accuracy), two (privacy), three (harassment) and 12 (discrimination) of the Editor’s Code of Practice. He said the article “gave the impression that he was acting dishonestly, and claiming benefits that he was not entitled to”. He provided IPSO with a letter from his solicitor, confirming that he had never received a £35 weekly allowance from the Home Office. He said that the article also included other inaccuracies – that he was one of fifteen siblings, his father had three wives and that he was a refugee, not a “migrant”, as he was described in one instance in the article. IPSO’s Complaints Committee upheld breaches on clauses one and two only. On clause two, it said: “The complainant was not a public figure, and had not publicly disclosed the information about his experiences contained in the article, or consented to the article’s publication. “The extent of this detail, published without his consent, and where no steps were taken to obscure his identity, represented an intrusion into his private life. “While the journalist was entitled to publish her story, and the Committee recognised that the matters discussed in the article were of significant public interest, this was not sufficient to justify the extent of the information about the complainant, and the resulting intrusion into his private life. On clause one, IPSO told the Sunday Times to publish a correction. The magazine was also told to publish the adjudication in full on page 16 or earlier, to give it equal prominence with the original story, and where it appeared online. A request for a review of the ruling was not upheld. It’s irrelevant whether someone’s a journalist or not. Forget the fact that Barber’s a journalist and it effectively bans all autobiography. I’m not outraged. LB and anyone else can write what they want. Just don’t intrude on people’s privacy without good reason. I’d be more concerned if IPSO had accepted the paper’s contention that anyone sharing information with a known journalist should expect to see it in print. That would have been outrageous.